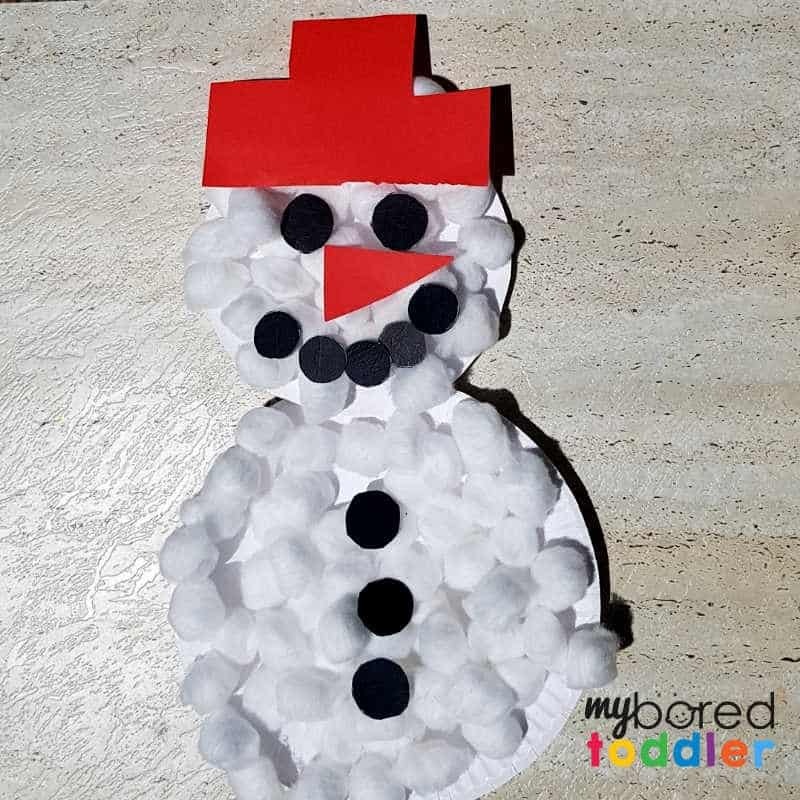 This paper plate snowman craft is always a fun easy Christmas activity for toddlers and preschoolers. 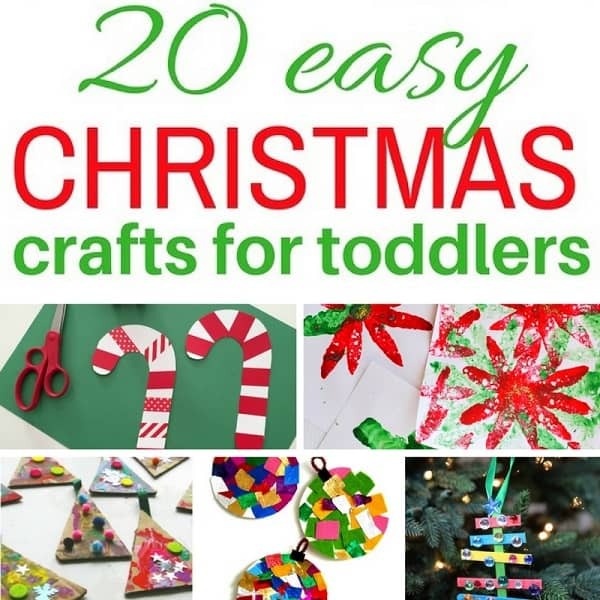 It’s an inexpensive craft activity that looks great on display. 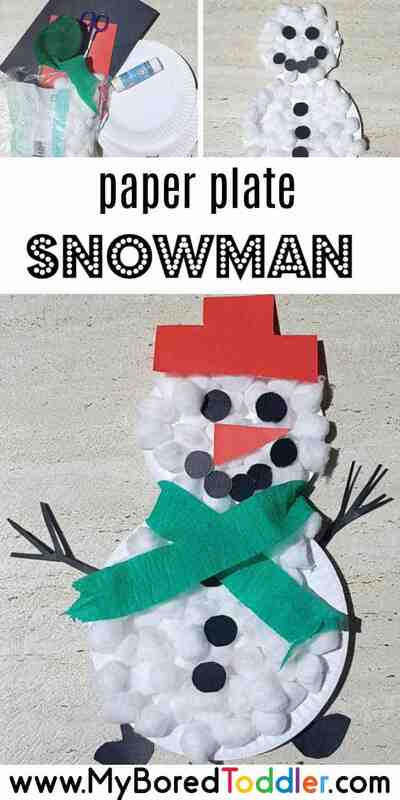 I love paper plate crafts and this paper plate snowman craft is always popular at Christmas. 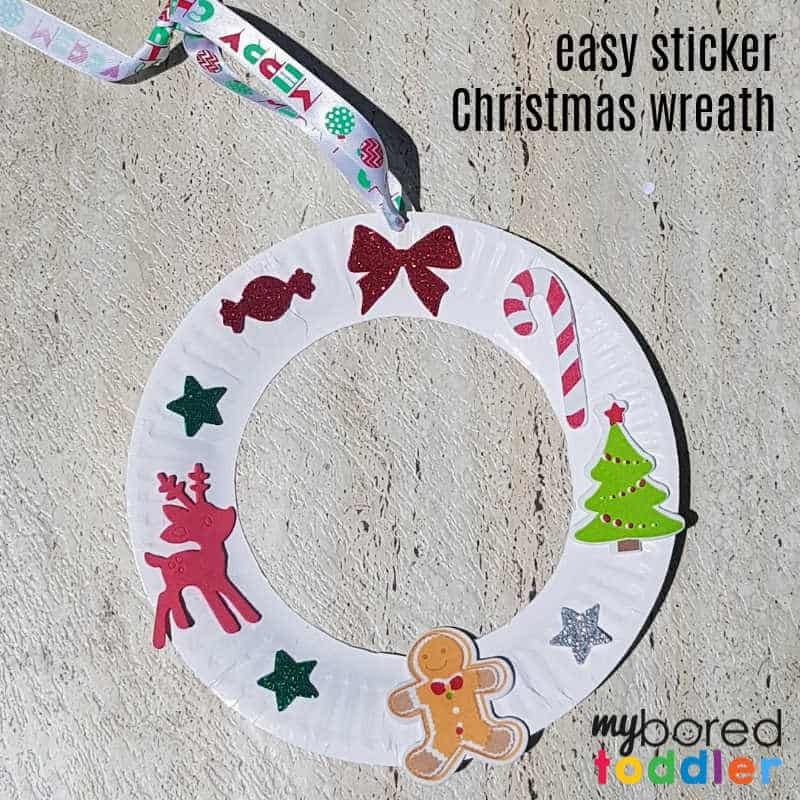 It’s a good Christmas craft for a big group too as the supplies are quite cheap. 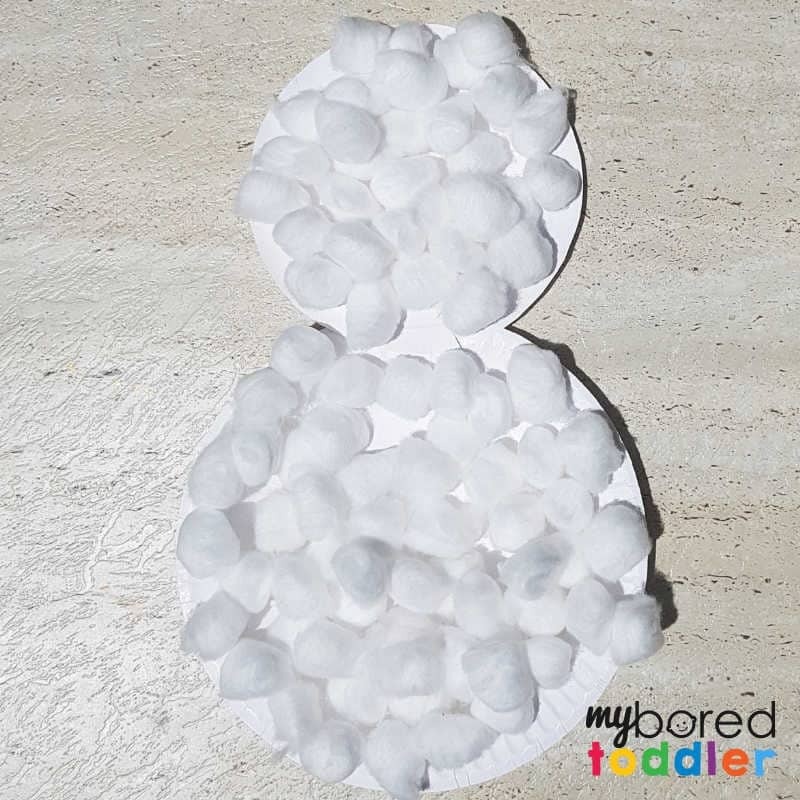 This activity is part of our 12 day Christmas craft challenge (you can still sign up HERE). Yesterday we made our own painted Christmas gift wrap. 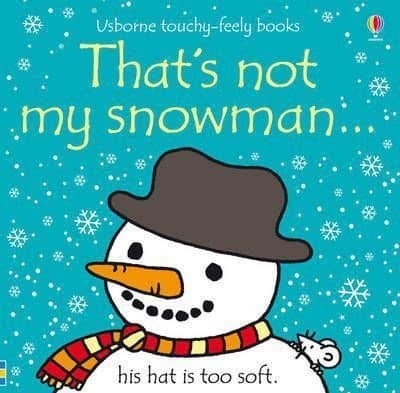 Before we started this activity we read That’s not my Snowman (you can get that HERE on Amazon or as part of a Christmas set HERE). 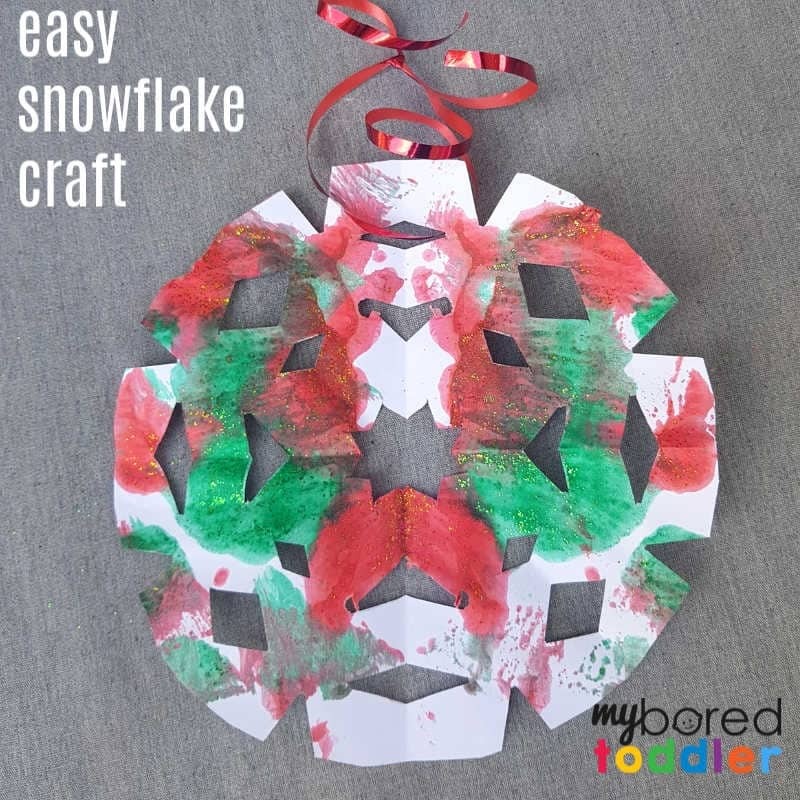 We’ve always loved this range of books and the snowman one is perfect for this craft. 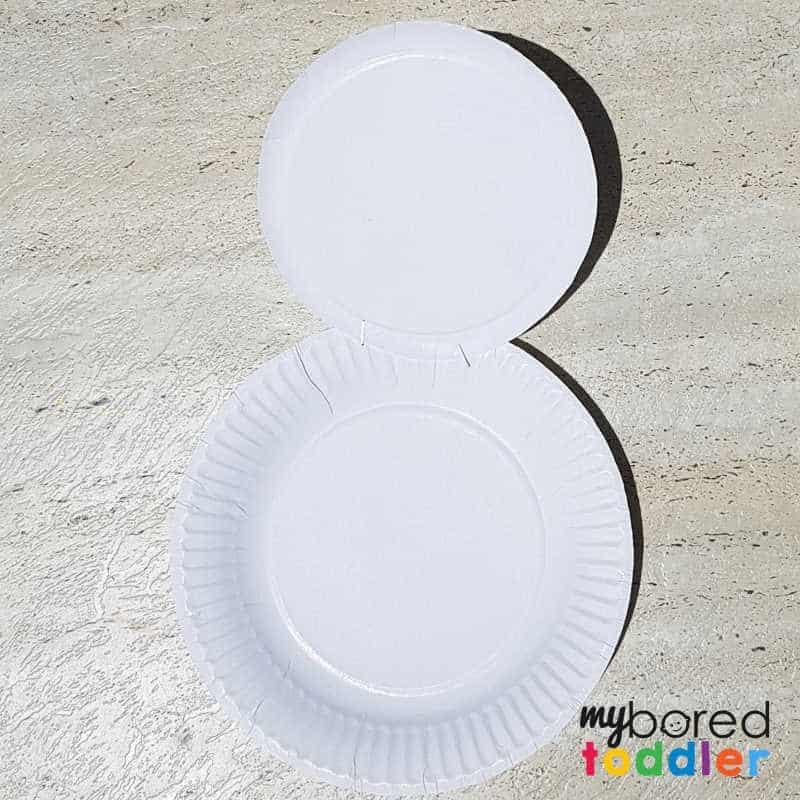 Cut out the edge of one of the paper plates (to make it a smaller circle than the other one) and staple them together. 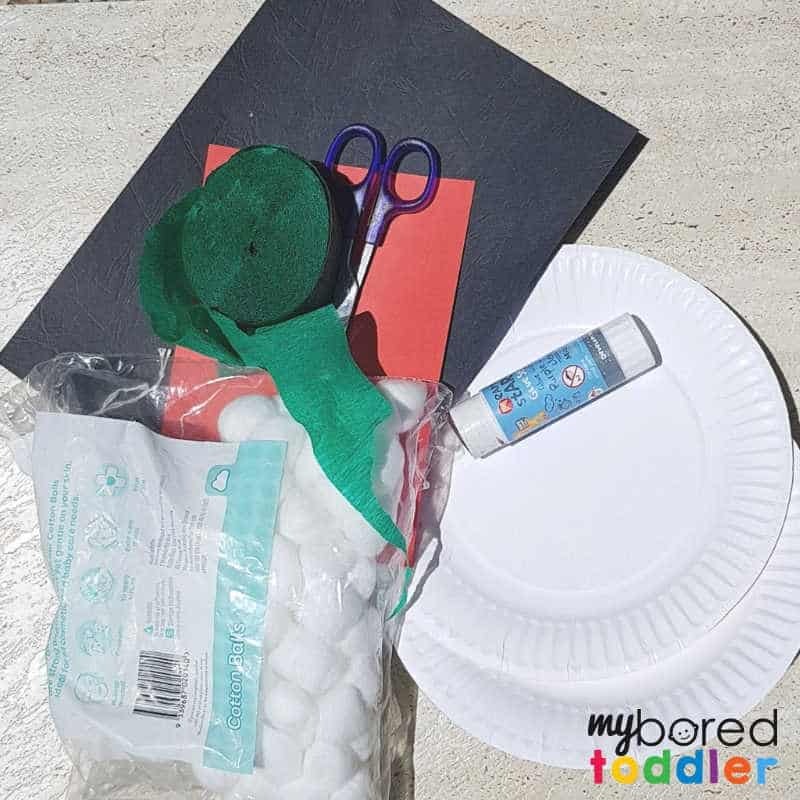 Cover all of the paper plates with the cotton wool balls. It is often easier to cover the plates with glue first and then have your child put the cotton wool balls on. If you have trouble sticking them on, try using PVA glue instead. Cut out 5 black circles (for the buttons and the eyes) and another 5 slightly smaller black circles (for the mouth), I traced around coins to get the sizes right, but any circular shape will work. Glue them onto the snowman. Cut out a hat and nose shape from the colored construction paper and glue them on. Cut out stick shapes for the arms and boots for the legs and glue them on. Use the crepe paper to make a scarf and you’re done! 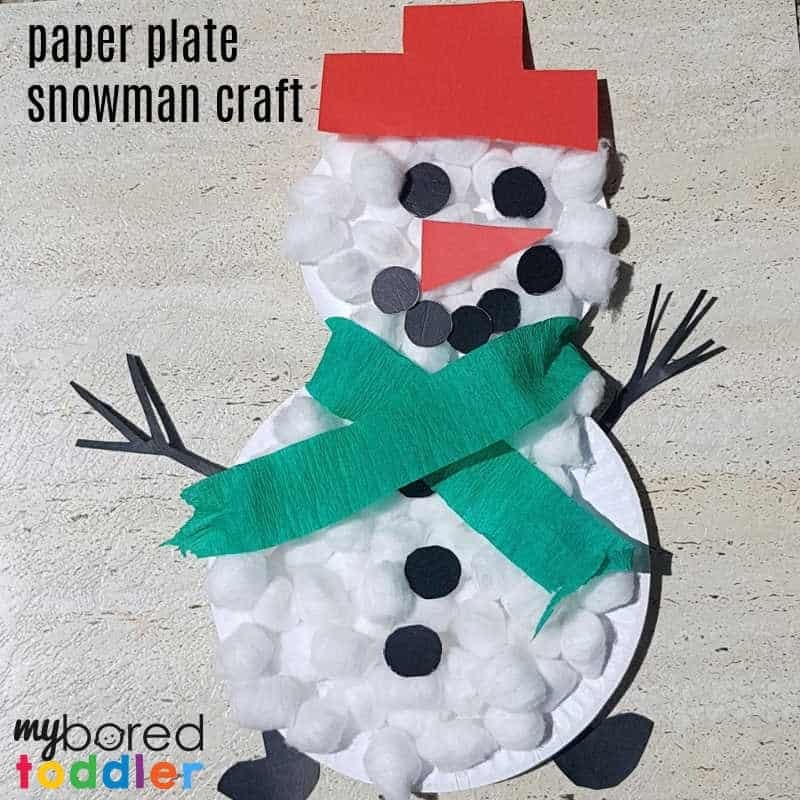 I hope you enjoy your paper plate snowman craft as much as we did! 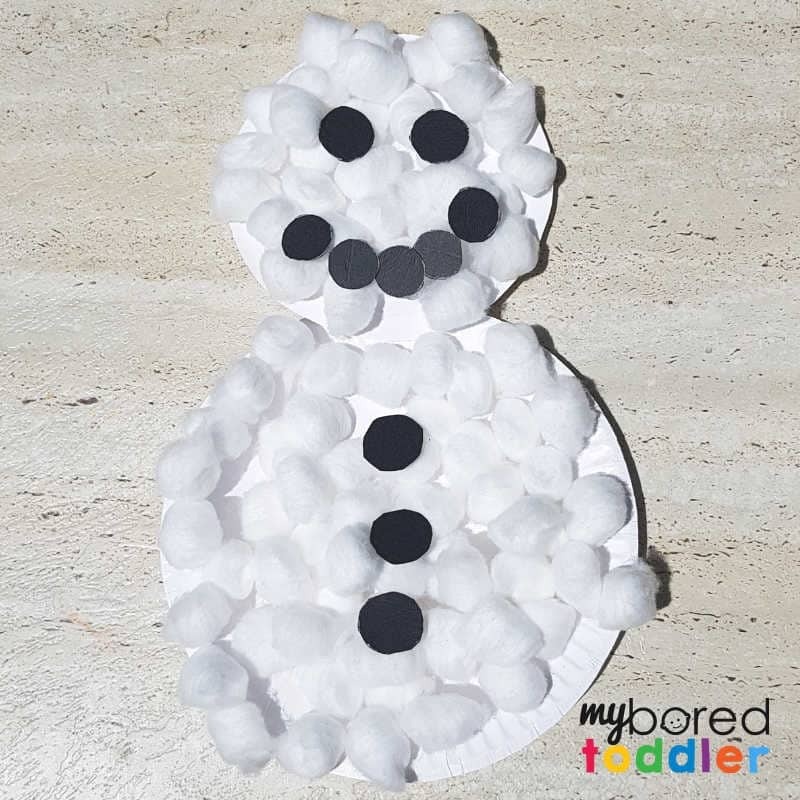 We would love to see your finished creations – share them in our Facebook group or over on Instagram (use #MyBoredtoddler).